Scholarship Description: Cascadia College is inviting applications for Global Achievement Scholarships. These scholarships are open to new international students for pursuing undergraduate programme. 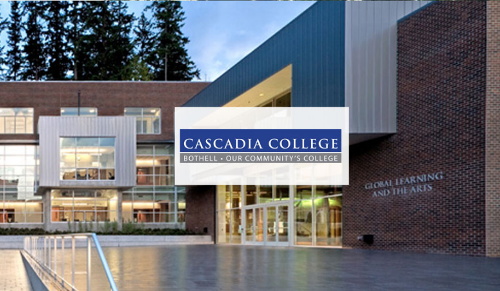 Cascadia College is an American community college located in Bothell, Washington on a shared campus with the University of Washington Bothell. Deadline: The application deadline for fall quarter is August 15, 2017, and Winter quarter is November 15, 2017. Scholarship Benefits: Global Achievement Scholarships will be distributed to recipients after the 30th day of the applied for quarter of study. Applicants must be new international students on an F-1 visa who have been accepted to Cascadia but have not yet enrolled in classes. International students who are transferring to Cascadia from another school in the United States are eligible. Completed application form. Please write neatly and be sure to answer all questions. What is the value of studying at Cascadia College? Two (2) recommendations. Please use the attached recommendation forms. All the information about Cascadia College Global Achievement Scholarship for International Students has been delivered nicely; interested and talented students who are eager to pursue their Free Tuition/Scholarships/Study in USA can apply now.